With strong economies, and a continued influx of both residents and businesses to Central Texas, the region has experienced increased hotel investments to the tune of one hotel per month sold there. 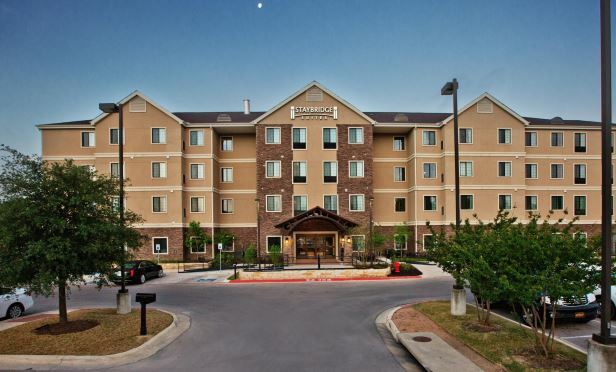 In a flurry of buyer activity, Staybridge Suites Austin South was one of the hotels that recently sold. AUSTIN, TX—With a strong economy, and a continued influx of both residents and businesses to the Austin and San Antonio markets, Central Texas is boasting increased investments in the hotel industry. In fact, last year, CBRE Hotels sold an average of one hotel a month in Central Texas, totaling seven in Austin MSA and four in San Antonio. Dennis Drake, Michael Yu and Rahul Bijlani with CBRE’s hotels group arranged the transactions.